Thanks ksdjdj for your input. You are spot-on regarding the House-edge. House edge by Stephen How Consulting: DOUBLE ON ANY NUMBER OF CARDS (any Soft/Hard 9, 10 or 11 Only) H17. For those that are interested, I will update the strategy here some time next week. I've played at a couple tables where the dealer would stop the game to talk to players. That's a frustrating experience. I've also played with a guy who consults a deceased person before making playing decisions and let me tell ya, dealer and player reactions to him are priceless. Heh, that would be priceless. But, to keep an open mind, if I did come back as a ghost I could think of worse places to haunt than a casino advising "sensitive" players to stand or hit. I was looking at this thread and was fascinated with the rules and how the game changes by having the payouts change whether the contrast is and play as well as the doubling and splitting decisions. In the end the game seems difficult to deal. To me the hand action of going in and out of the tray for matching purposes would slow the game down immensely. The HE while only 1.94% will depend on perfect play, and I doubt that about 2% of people who try their hand at this game will come close to optimal play. In the end I think it will be frustrating to gamblers and dealers alike. I think what might make the game a success despite the frustrations is the house take for a variation of blackjack. It will be a good moneymaker especially if lower limits are available and would draw newer recreational players to a blackjack game and can't afford the higher limits. I myself wouldn't play it. The only variation of blackjack I play is switch and I typically bring my custom strategy card when I play it. I'm better at beating games that are live, and that's my top priority. My two favorite kinds of dealers are chatty quick dealers and silent fast dealers. Either is good, long as the game keeps moving! Dealers who can't multitask as competent dealers while talking to the patrons should stick to dealing. Dealers who can do both are a welcome bonus at the table. I find it beyond annoying to sit at a table, especially an already slow game like PGP, when the dealer stops the game to tell a long story or chat people up. Annoying to the point where I will color up and leave, in a couple of cases, where it was continual. Yuck. The casino isn't paying them to deal 15hph and BS, afaik. And I only get to gamble 5-8 days a year, most years. I want to see some hands. fyi I remeber discussing doubling soft 21 with my local casino. There was a game where, in some circumstances, you should split pictures and also then double if you got an Ace. Their ruling was you would need identical pictures and couldn't double AX. Unlimited® Blackjack™ is a form of Blackjack where an Unlimited number of Players can play the same hand. We assume the reader is already familiar with conventional Blackjack rules. 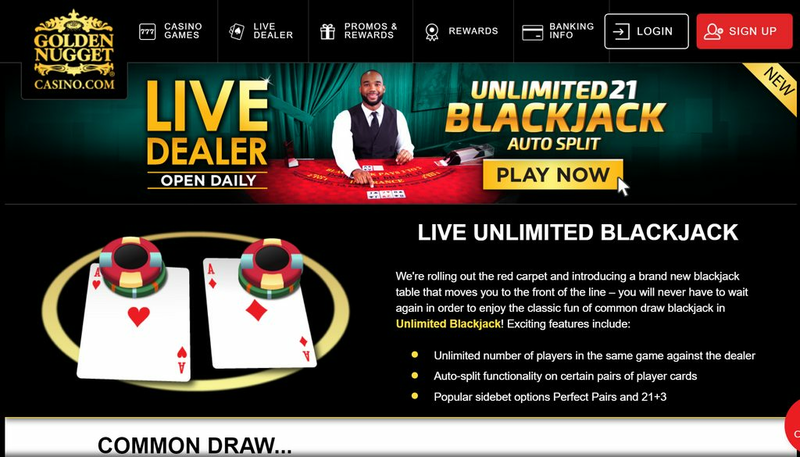 Below are the specifics and how Unlimited® Blackjack™ differs from conventional Blackjack. * It is Play Worldwide as a Live-Dealer Online-Blackjack for Unlimited-Players. THE First USA Live-Dealer Online-Blackjack for Unlimited-Players. 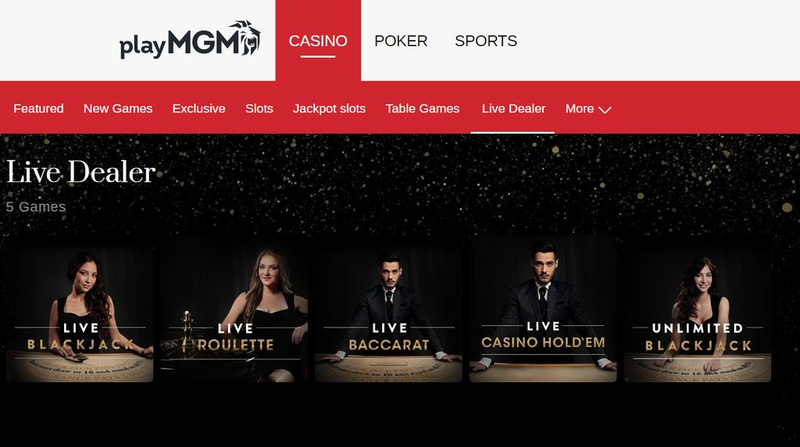 MGM Online-Casino, Golden Nugget Online-Casino, Borgata Online-Casino, Party Online-Casino, Betfair Online-Casino.